Brought to you by Kyle O. In our last blog, we introduced you to Google Analytics, a free service from Google that allows you to measure who visits your website and how they interact with it. Once you have a basic understanding of Google Analytics, the next step is to use the data you receive from it, to identify trends, and adjust where necessary. Learn about how to boost your online presence with analytics using both paid and organic tactics that draw the right visitors to your site, social channels and, ultimately, to patronize your business. Your business’ online presence can be measured in a few different ways, but ultimately, it boils down to how many people on the internet find your website or other channels and how much they interact with them. Google Analytics gives you empirical data about what users do on your site and who they are (i.e., demographics, type of technology, etc.). You know who your target customers are. If you notice on Google Analytics that you’re pulling in visitors that match your target customer profile, you can see which pages they’re visiting most frequently, which pages draw them in, then translate what works on those pages across your site and social platforms. If you’re not pulling in customers who meet your customer profile, you can try changing content and choosing different keywords to better reach your ideal audience. You may also want to try a paid search campaign to ensure you’re highly visible when those users search for your product or service. If you continue to get visitors that you weren’t expecting, it’s not necessarily a bad thing. There may be opportunity to turn that traffic into business, either for yourself or a referral partner. You may want to evaluate who your target customers are and possibly expand your marketing to include other key groups. Everyone who visits your website is valuable, even if they aren’t ready to make a purchase or contact you just yet. Blogs and other informational pages are a great way to increase visitors to your site and build trust, though not all of them will result in ROI. Remember: the more visitors who trust your site for information, the more Google will respect your site, improve its search ranking, and increase the likelihood you’ll be seen by more potential customers. By using search engine optimization techniques on your site, you can improve your ranking on search engine results pages (SERP). The higher you can get your website on the SERPs, the better chance you have to hook searchers and bring them to your site. One of the most valuable components of Google Analytics is the organic keyword search results, which shows you which existing keywords on your site are drawing visitors regularly. You must make sure to connect your website to Google’s Search Console in order to obtain some of this data, as not all will be available. Sometimes, the keywords you thought might be popular are too competitive or simply not getting as much traction as you’d like, so adjustments must be made to your strategy. When you identify those keywords that are performing well, you can create more content to better serve those queries which will in turn add more value to the users on your website. Once users are on your site, it’s important that you have set goals for what you would like them to do. If you place a call to action button asking visitors to click and submit their information to join a mailing list, you need to follow “conversions” on Google Analytics to see how many people follow through with that task. If you’re getting a lot of visitors, but few clicks and submissions, you can try some different tactics. Maybe the button is in the wrong place. Maybe the message is wrong. By trying different options, you can see which are more motivating to your visitors. If you’re not sure you have the time to dedicate to boost your online presence with analytics, you’re not alone. Owning and/or managing a business is more than a full-time job, and using Google Analytics to improve web presence takes a lot of time. 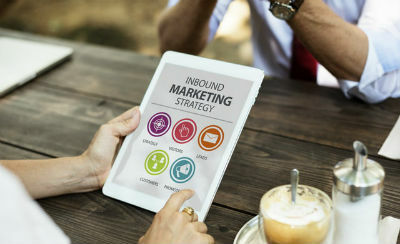 Instead of investing this time or hiring an employee to do so, many small and medium business owners choose to work with an online marketing specialist or team to help promote their web presence. Whether you’re dedicated to becoming an analytics pro or plan to use a marketing professional, good luck and be patient!